With electric vehicles set to dominate the future of transportation, demand for battery metals will continue to soar in the coming decades. Fortunes have already been made investing in the better known new energy metals of lithium and cobalt, but these are far from the only commodities required to produce electric vehicles. One rare earth that’s gaining increasing attention is dysprosium. Dysprosium is an essential ingredient in the production of DyNdFeB (dysprosium neodymium iron boron) magnets, or ‘permanent magnets’ that are used in clean energy and high-tech solutions. The magnet ingredient allows for optimal performance under load, allowing it to retain its charge at a higher temperature. The heavy rare earth is an additive used in the creation of these high end permanent magnets used in hybrid and electric vehicle motors, wind turbines and other industrial applications, as well as having critical uses in defence and aerospace. With such in-demand applications, it’s no surprise that global interest in rare earths including dysprosium is growing, and demand has never been stronger. However, it’s not just overall rising demand with the growth in electric vehicles that’s delivering dysprosium an upbeat outlook. Currently, dysprosium supply is overwhelmingly controlled by China (98% according to Adamis Intelligence Report) — a fact that has many rare earth consumers concerned. The country dominates the market and a recent crackdown on illegal mining has led to supply shortages that will pressure prices even further. Add to that, US President Donald Trump is concerned about trade rival China’s control of the rare earths and has been explicit in conveying his intention to secure new supplies outside of China. This dominance by China of the rare earths market, including dysprosium, combined with the already strained relations between the US and China, prompted Trump to raise the issue with Australian Prime Minister Malcolm Turnbull. 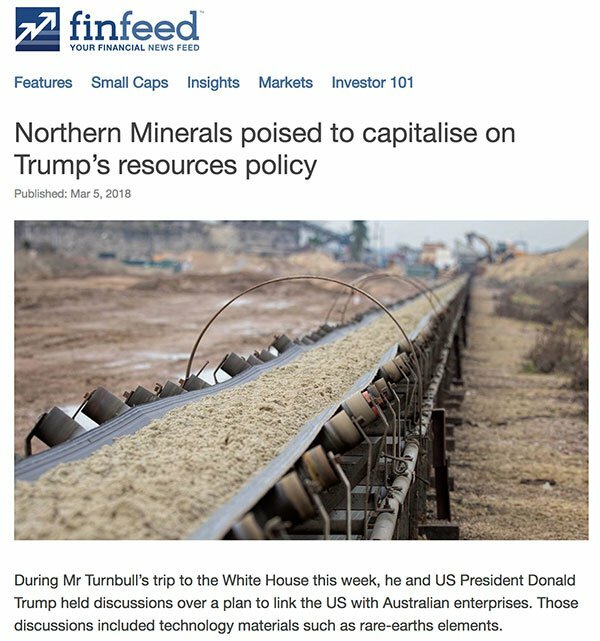 Trump, with Turnbull, has agreed that the US and Australia will work together in finding and developing new reserves of rare earths. 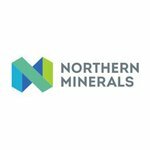 This support is timely for Northern Minerals Ltd (ASX:NTU), an ASX-listed junior that is set to deliver new supply of heavy rare earths to the global market this year. NTU is looking to emerge as the first significant dysprosium producer outside China through the development of its Browns Range Project in the East Kimberley region. Just recently, NTU announced that the Browns Range Pilot Plant was on track to come online in June, with all equipment on site and $4.4 million in R&D financing on top of the $11.7 million raised in a Share Purchase Plan in the bank to help it achieve its aims. Of course it still has a lot of work to do once online, so investors should seek professional financial advice if considering this stock for their portfolio. The pilot plant will be used to gain production experience and assess the feasibility of a larger full-scale project at Brown’s Range. NTU has commenced commissioning on the crushing circuit which was a major milestone for the Pilot Plant project. The mill girth gear has also been installed and the laboratory has been delivered and installation is now underway. Recruitment of operations personnel is also progressing well. It also has an agreement in place to sell 100% of the pilot plant’s output to China’s buyers. NTU is accelerating its plans to fast track the project enhancement initiatives at Browns Range, including downstream processing options, of which at least three alternate separation technologies have been identified for further investigation and analysis, and increasing exploration to extend the potential mine life of the full scale project from 11 years to more than 20 years. NTU still has at least 170 defined targets still to be drilled, and it has discovered a massive geological feature over 1,500 square kilometres on its Browns Range dome that it hasn’t yet explored. 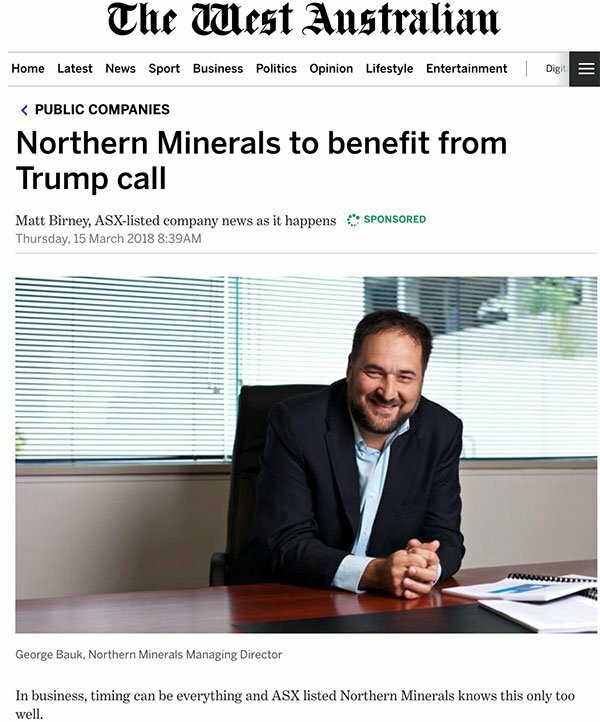 Northern Minerals Ltd (ASX:NTU) has commenced development of the Browns Range Heavy Rare Earth Pilot Plant Project on the WA-NT border and it expects the plant to be up and running in just a few weeks’ time – June 30 to be precise. NTU has not one but two deposit sites in the Browns Range, Gambit West and Wolverine, which it has been steadily exploring over the last couple of years. The deposits and prospects contain high value dysprosium and other Heavy Rare Earths (HREs), hosted in xenotime mineralisation. 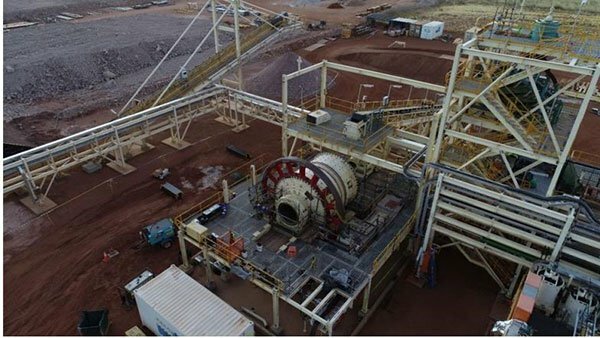 The sudden interest from the US to secure new supplies of rare earths outside China couldn’t have happened at a better time for NTU as commissioning at its process plant has commenced at Browns Range. Looking at the macro situation, China’s clamp down on illegal mining slowed supply, effectively cutting NTU’s competition. With the rising demand for electrical vehicles — which require 100g of dysprosium per vehicle — you have the perfect supply and demand mix for NTU’s success. Development of the pilot plant lets NTU gain production experience, ensure supply for offtake partners, and assess the economic and technical feasibility of a potential larger, full-scale development. Through the development of the project, NTU aims to be the first significant world producer of dysprosium outside of China. This initial pilot plant is stage one in a four-stage process that, if completed, will see NTU emerge as a major player in a significant and growing market — that of dysprosium. The next step after the pilot plant is brought to production, will be refining the project. This will involve reducing the costs of mining, boosting production, including increase head grade, and developing a premium product for export. Commissioning of the plant commenced following delivery of the rear gear for the mill – the final component required. The mill girth gear has now been installed. The Primero Group is making good progress on installation of process plant modules and mechanical equipment, with additional; personnel mobilised to site. Electrical and piping installation works continue to progress well in beneficiation and hydrometallurgical plants. Completion of all construction and commissioning of the next stage of the process flowsheet is currently the focus. The next stage includes magnetic separation, flotation and tailings. Commissioning of the plant is on schedule for the December quarter, as is first production of heavy rare earth carbonate. With everything operating as expected, NTU could soon realise its ambition to be the only non-Chinese supplier of Dysprosium. Picture 1 shows the water leach and CCD, whilst photo 2 looks at the acid storage, kiln and gas scrubber. With its finances in order including R&D funding to the tune of $4.4 million and interest in heavy rare earths growing by the day, NTU’s prospects are looking promising. The news received widespread attention, and was also reported by The Australian. To summarise, Australia and more precisely NTU is best placed to capitalise on the two countries’ partnership right now. However, what comes of the partnership is speculative at this stage, particular for NTU, so investors should take all publicly available information into account and maintain a cautious approach before making an investment decision. Since our last update to you back in August 2017, NTU Emerging as the First Significant Dysprosium Producer Outside China — it is clear the company has developed and progressed significantly. On top of the developments already discussed here, NTU has also extended its mine life potential from 11 to 20 years. In fact, exploration progress presents another highlight for the company. During the last quarter, NTU announced the results of its regional rock chip sampling campaign, returning high-grade HREO (heavy rare earth oxides). A total of eight rock chip samples collected from seven prospect areas last December showed significant results: the average grade of the Browns Range deposits is 0.66% TREO (Total Rare Earth Oxide). The high proportion of Heavy Rare Earths for nearly all samples indicates that mineral is likely to be xenotime, the same as at NTU’s Gambit West and Wolverine open pit mines. Looking forward, NTU will drill its Iceman prospect which has shown to have a very high-grade sample of 7.19% TREO. Drilling will commence in the June quarter, giving investors something further to look forward to. Part of the overall potential also relates to downstreaming. Downstream processing options are focused on increasing the suite and value of revenue products and optimisation of mining. In addition to traditional solvent extraction separation technology, three alternative separation technologies have also been identified for further investigation. Furthermore, NTU has been approached by several interested parties including permanent magnet producers in the US, Europe, South Korea and Japan, early stage discussions with licencing partners for the application of downstream processing technologies has also begun. Rare earth minerals are vital. They are fundamental in the production of electric vehicles, as well as being used in cancer drugs, to create LCD screens, and even in building wind farms. It’s perhaps then no surprise rare earth mineral prices, including dysprosium, have skyrocketed over the past year as manufacturers recognise their value and scope of use. However supply is highly concentrated in China, where 95% of rare earths are produced, including 99% of global dysprosium supply. Of course, it’s not ideal that supply is so highly dependent on Chinese production. Take for example the recent Chinese crackdown on its mining industry which brings the uncertainty around reliable supply into focus. Another reason for manufacturers of emerging technologies to be concerned is that at today’s usage rates, the current supply of rare earth minerals is forecast to dry up in 10-15 years. However EV growth is exploding. 20 million EVs are expected to be sold by 2025, which, at 100g per vehicle, means 2,000tpa of dysprosium will be required to fuel this growth. But it is good news for NTU if it can help meet much needed supply of the rare earth, dysprosium. The chart below compares the forecast global dysprosium demand through the year 2174, to the current global production forecast, plus the potential production that could come from Browns Range. Note that there is still expected to be a significant dysprosium shortage even if Browns Range meets its production targets. This bodes well for higher prices for the rare earth mineral and therefore, higher profit margins for producers. Of course commodity prices do fluctuate so investors should seek professional financial advice for further information if considering this stock for their portfolio. Electric vehicles, along with demand for the rare earth minerals needed to produce them, are here to stay. And it’s a market that offers plenty of upside to investors in the know. Dysprosium is a particularly good example of an electric vehicle material that will see increased demand, in the face of tightening supply. Add in the fact that new supplies are actively being sought by the US and Australian Federal Governments to diversify supply outside of China, and it makes for a good time to be an upcoming dysprosium producer. Few are as perfectly poised as NTU to take advantage of the increased interest in dysprosium. 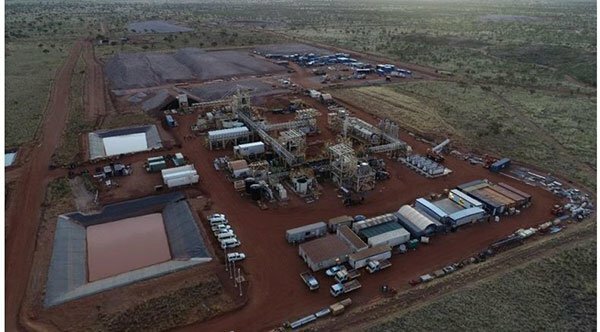 Within the coming months NTU will open its eagerly anticipated pilot plant in northern WA’s Kimberley region. And with a mine life now estimated at 20 years, NTU has major potential to help plug the forecast supply shortage. The future looks bright for this rare earth minerals producer, so stay tuned for more newsflow as NTU completed its pilot plant and works towards full scale production.